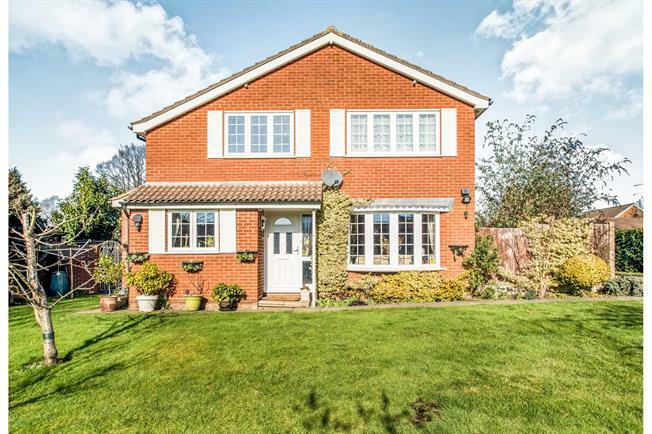 4 Bedroom Detached House For Sale in Hemel Hempstead for Asking Price £725,000. Executive Four Bedroom Detached Family Home With Double Garage! Presented to the market is this outstandingly spacious, good condition property and found in a gorgeous cul de sac location. Comprising of spacious entrance hall, large lounge, dining room, fitted kitchen, separate utility room, study and a wc downstairs. Upstairs offers four luxury sized bedrooms with an ensuite to the master and a family bathroom. Further features also include gorgeous front and rear gardens, double garage and off street parking. Ideally located for access to the Old Town and the Town Centre and with good commuter links nearby. Viewings Come Highly Recommended On This Property.